This is indeed good news, glad that the locals (and not someone outside group) put the pressure on to force a change. Last edited by larrygator on Wed Jul 24, 2013 7:10 pm. Scared by the Sound will not be returning to Playland this Halloween season. Instead, it will be located in Cortlandt, NY, about 45 minutes north of Playland. The attraction is now indoors, in the former Training Zone. This is a great turn around after last year's hurricane Sandy destroyed many props. Like always, there will be new scenes and props added this year! Tickets are now 15.50$ and you can download a 1$ coupon online. For anyone who hasn't been, I totally recommend trying it out! It's not as good as Lake Copounce's Graveyard or Six Flags' Fright Fest, but it's less expensive, less crowded, and is still a great haunted attraction! This is the most comprehensive (although still not 100% clear) article about the recent state of Rye Playland. Sustainable Playland Inc. Still wants to turn half the parking lot into sports fields. Many locals say that sports fields are not needed for the youth, plenty of fields exist in the area. Many locals also feel limited parking will ultimately strangle the amusement park forcing it to close. Some people behind Sustainable Playland originally wanted to just shut down the rides area. Plans for amusement park improvements are still not approved. Sustainable Playland could still potentially ditch their proposed plans for the amusement area and let CAI follow their own proposal. 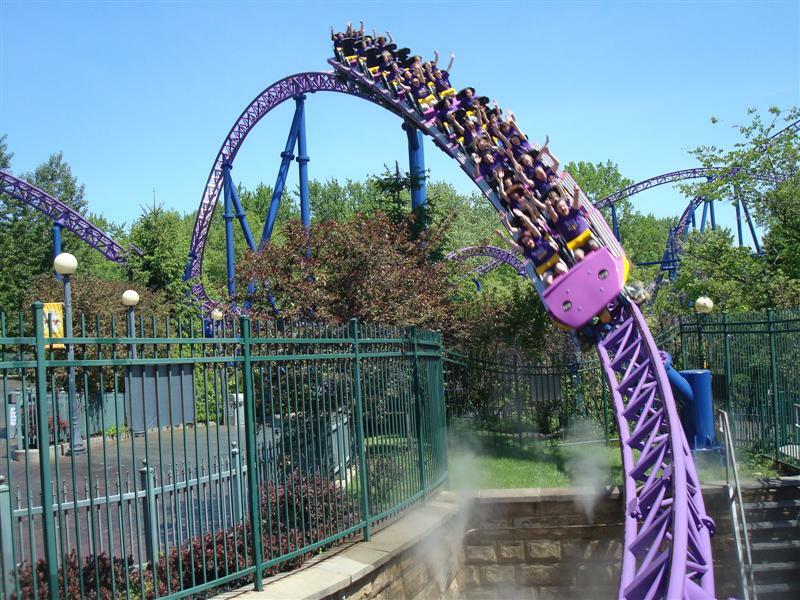 Central Amusement International which Sustainable Playland hired to run the park, has not moved forward on manufacturing any of their Zamperla rides for 2014, but would still have time to make installations for the 2014 season. One legislator, Ken Jenkins, is still fighting the whole process saying there have been illegalities in how the whole process (turning over authority of a government park to a non-profit entity) was handled, but his lawsuit was recently dismissed by NY State Supreme Court. Many parties involved with reinventing Rye Playland still have questions about the process and the plan. RYE, N.Y. -- County legislators and other parties involved in the reinvention of Playland Amusement Park still have questions regarding Sustainable Playland Inc.'s plans to take over and upgrade the park. Members of the Board of Legislators' Government Operations Committee met on Tuesday, Dec. 17, with representatives from Central Amusements International, the company hired to operate the amusement portion of the reinvented Playland. The CAI officials said they are still waiting on some information such as an updated parking study, which could impact attendance and revenue projections. "We're far away from settling things with SPI right now," said CAI Vice President Peter Pelle. He said that CAI has also asked for a letter issued from the county executive's office, naming them as an approved subcontractor for the Playland reinvention, but that the company has not yet received one. "We're at a place where, generally speaking, we think people know what it is we can do, want to do, intend to do, would like to do, and really we just need to sit down and discuss something in more concrete terms with you, and with SPI," said Joe Montalto, a consultant with CAI. "It's just reached a point where I think that needs to happen. Otherwise, I don't know where we go." Legislator Catherine Borgia said that the board is technically supposed to approve the Playland Improvement Plan by the end of the year, but that taking additional time to review would likely not trigger SPI to pull out of the asset management agreement. She said there is still a lot of uncertainty about the project. "I feel like there's a lot of moving pieces," said Borgia. She said that the board has not received an updated parking plan and financials. There are also issues of a lawsuit by Legislator Ken Jenkins against the Playland Improvement Plan, as well as Rye residents' objections to the proposed field house. CAI was one of the companies that had originally responded to the county's RFP with a plan to revitalize the park. Legislator Bill Ryan brought up the possibility of CAI going forward with its original plan, instead of SPI's plan. "We really want to be a part of Playland. We entered into a letter of intent with SPI to try to stay involved in Playland. We made it clear to SPI that if there's a chance we might still want to pursue our own proposal, we can do that," Pelle said. He said that the company is willing to work with the companies running the Ice Casino and the Westchester Children's Museum, but that operating the sports zone and field house is not what they do. With the delays in approval of the plan, Pelle said that the company is running out of time to manufacture and install new rides. I am personally hoping for Sustainable Playland to step away from the agreement and let CAI take control of the park. I think they've more than proven with Coney Island that they can take a historical park, and update it in a way they is both respectful and successful. It still blows my mind that Sustainable Playland continues to push for the removal of attractions in favor of "green lawns" and sports fields. To be completely honest, this is probably the best ride in the park after maybe the Old Mill, so I'm very happy to hear this. ^ Totally agree! I thought it was such a fun little flume ride! I really hope the best for the park. When I went for my first time this past summer I thought it was such a charming little place. Did it need some fixing up in some areas? Of course, but with a little work it can be a great park again. This park is on my bucket list. Sounds like I may want to plan a trip sooner than later. thrillrider wrote: This park is on my bucket list. Sounds like I may want to plan a trip sooner than later. this. But I think we are ok that we didn't go in 2013 as long as it's this year? As the Westchester County Board of Legislators prepares to dive into its review of plans to overhaul Playland Amusement Park, a group of Rye residents is pressing its opposition to a new field house to be built in the parking lot and Rye officials are asking for a greater role in the review. Legislator Peter Harckham, who will coordinate the review as chairman of the parks committee, is promising an open process with hearings to allow legislators to hear from the public. “This is a really important decision we’re making,” he said. County Executive Rob Astorino in October 2012 chose Sustainable Playland, a nonprofit that grew out of Rye, to run Playland, refurbish its historic elements and bring in new attractions to make it a year-round destination. Now the Board of Legislators must approve the physical changes the group has proposed. The Astorino administration said construction of a 95,000-square-foot field house and two outdoor fields will not have enough impact to require a full environmental impact statement. But Rye officials are arguing the conclusions are premature and that the city can’t be left out of the process. In December, Rye’s corporation council sent a letter to the county saying the city has some approval authority over the changes to the park and arguing the potential environmental impacts require a more thorough environmental review. And though there appears to be a lot of support for Sustainable Playland around Rye, a group of residents from the neighborhoods around the park has been fighting against the current plans, particularly the field house. Kenneth Ball, one of the opponents, who lives less than a block from the park, is critical of both the lack of information on the project and the impacts he said the field house will have on his neighborhood. Ball had initially supported the choice of Sustainable Playland because he was sold on the increase in green space. But the improvement plan, which showed an increase in the size of the field house, changed his view. “I call it seductive Playland rather than sustainable, because it doesn’t do anything for the land,” he said. Ball and others say the field house is out of character with the rest of the park and will hurt their property values and quality of life, not least because it will take away a large section of the parking lot and create new parking headaches in the neighborhoods. Sustainable Playland has put a slideshow on its website, www.sustainableplayland.org, seeking to counter the criticism of the field house. Opponents have their own website at http://nofieldzone.org. The size of the field house proposed at Rye Playland has been scaled back as county legislators begin analyzing Sustainable Playland Inc.'s plans to renovate the amusement park. The field house has been reduced from 95,000 square feet to 82,500 square feet a 13 percent reduction. The section that is closer to the surrounding neighborhoods has been reduced, according to Bruce Macleod of SPI. This will increase the amount of parking by 100 spaces, and reduce the building's footprint to about five acres. The reduction was achieved by reducing space devoted to offices and other ancillary areas. "As a result of several public meetings in Rye and taking all the input from the two advisory committees in Rye and the citizens, we've gone back to Playland Sports and said the issue that we see coming out of the community is, for the current time, the size of the field house," Macleod said. "I think it is a big step and it reflects what, from the operators' point of view, is kind of the minimum that they can go to in the economic sense of the plan." Members of SPI and the County Executive's office met Tuesday with the Labor, Parks, Planning and Housing Committee of the County Board of Legislators to begin the process of analyzing the Playand Improvement Plan and determining what questions and concerns need to be addressed. The first year of the plan will focus on building the field house, upgrading some rides at Kiddlyand and cleaning up the miniature golf and Fountain Zone area. Central Amusements, the company that will operate the Amusement Zone, will spend most of the first year understanding the operations of the park and its maintenance, with an eye on taking over in 2015. SPI is also finalizing agreements for operation of the Ice Casino, which was heavily damaged by Hurricane Sandy. Repairs on the Ice Casino are expected to be finished this summer, with an anticipated opening in the beginning of September. "We are going to be scheduling ice time, with the understanding that we could be turning this over to an operator at a time in the near future," said William Mooney, senior assistant the county executive. The committee will be holding a meeting at Playland next Tuesday, March 18 at 9 a.m. Representatives from SPI will take the members through the aspects of the Playland Improvement Plan, and will be using cones to map out where the field house will go and how big it will be.